The women who put the soul in AC Solar. JoElyn was the General Manager of Independent Power Systems (IPS) in Boulder where she grew the organization to a 5 million dollar company. She served on the Board for the Colorado Solar Energy Industries Association. She and Beth Hart purchased AC Solar, Inc. in 2010. Joelyn spends her free time riding horses and taking long walks with her corgis. Beth has worked in the solar industry for 20 years. 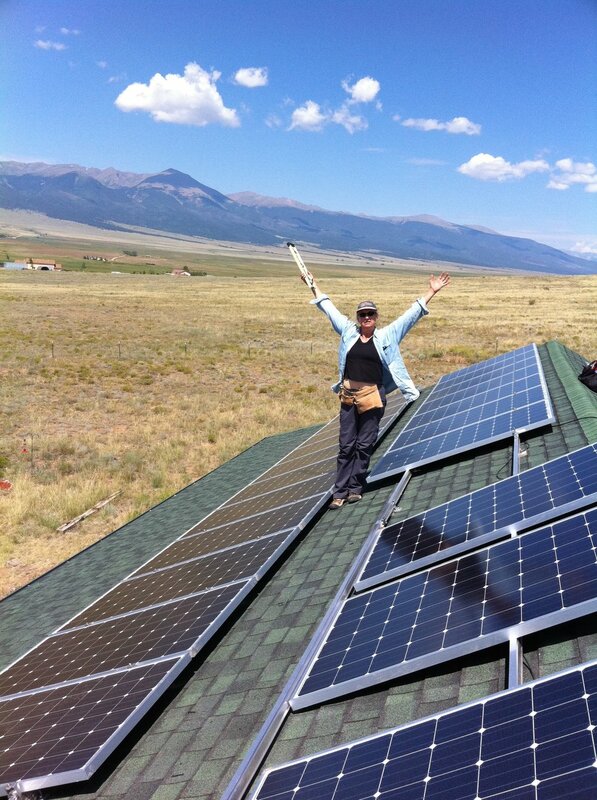 Beth was the President and Executive Director of Colorado Solar Energy Industries Association (COSEIA) in Denver. Beth leads the hard part of the company that puts plan into action. Beth is an animal lover and spends her downtime with her animals, family, and friends. As the creator and original owner of AC Solar Inc, Laurie knows the business inside and out. Eliza's background in energy efficiency includes helping to run Boulder County's EnergySmart and Partners for A Clean Environment programs. She's a certified Energy Rater who's inspected homes to meet code and energy standards. Eliza loves hiking, camping, skiing, and time with her dogs, family, and friends. Stephanie has created and designed several websites, managed social media marketing for successful businesses and nonprofit agencies, and built audience and brand recognition. She also manages a community radio station, enjoys making and eating delicious food and sings a lot.